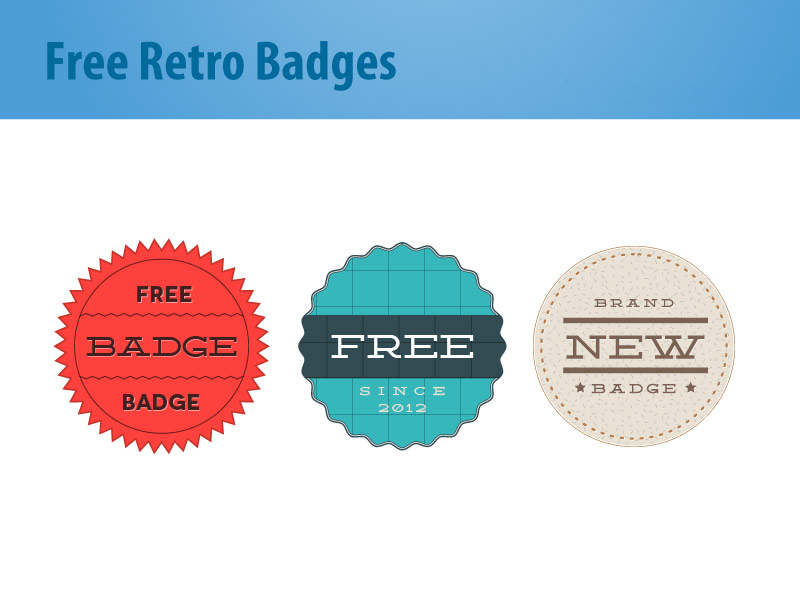 If you want badges in the best retro shades and styles, then this is the right place for you. 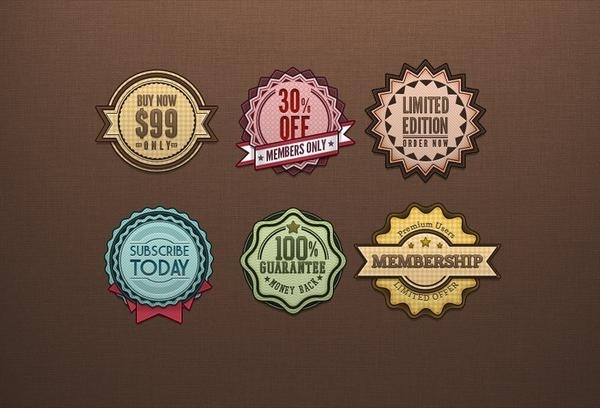 These badges can become a part of your business website, your blog or even personalized cards. 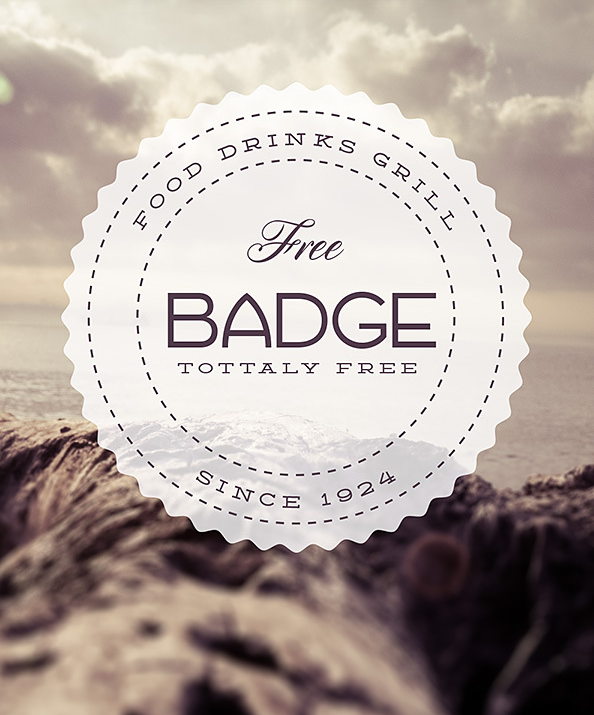 The free retro badges in PSD format can be easily customized to represent your name, insignia and trademark. 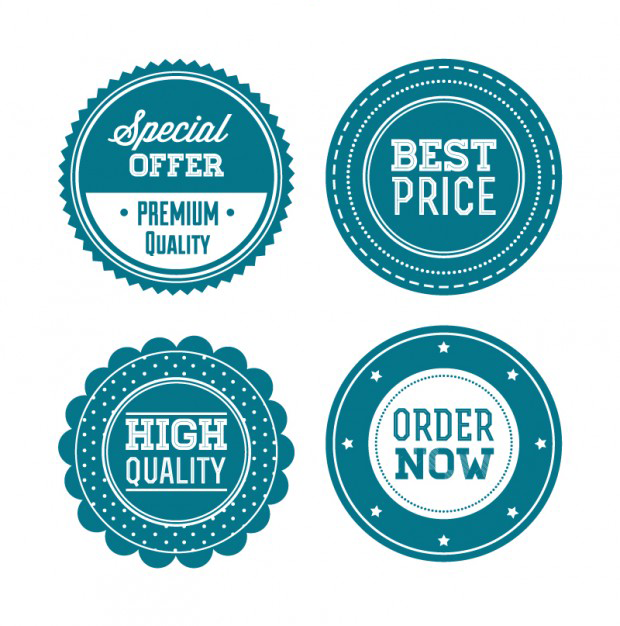 But retro badges do not always have to be grey or grunge; you can find modern retro badges to suit your taste and necessity. 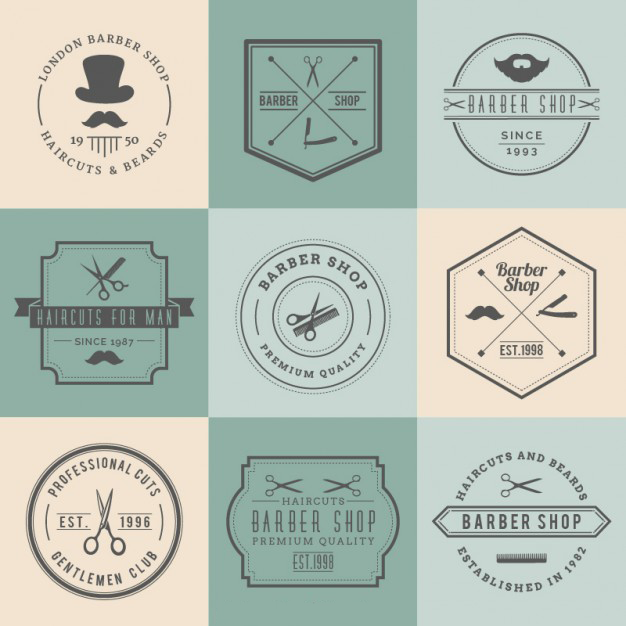 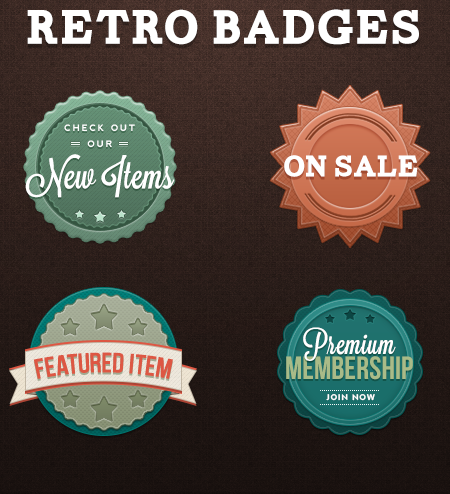 The retro grunge badges can be used for personal as well as business purposes. 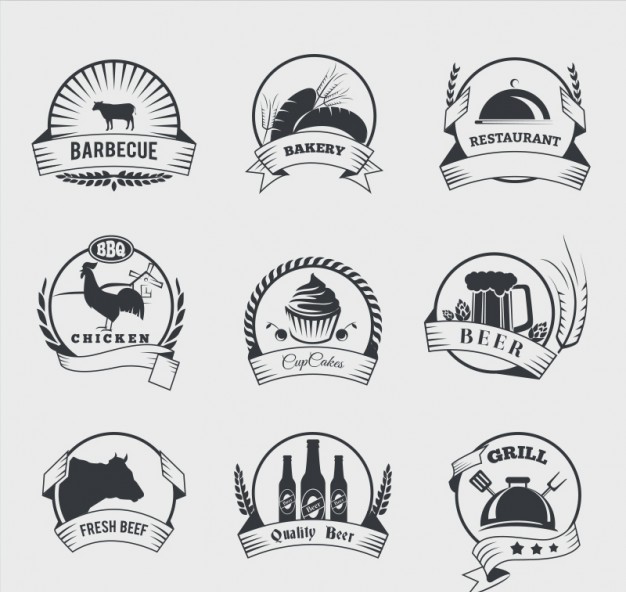 The dimensions and resolutions are varied. 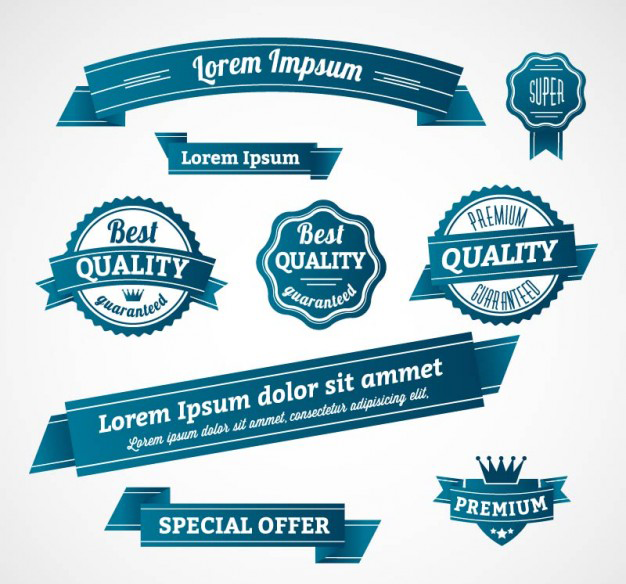 Plus the PSD format allows easy editing on Adobe Photoshop. 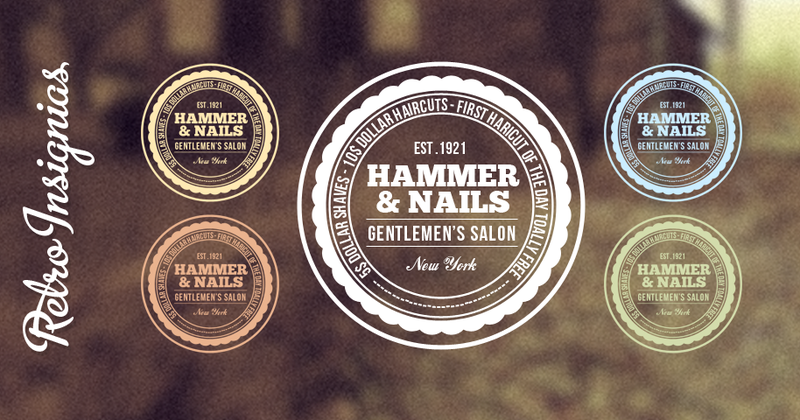 Insert text, change opacity and texture, add layers or remove them at your will with minimum effort. 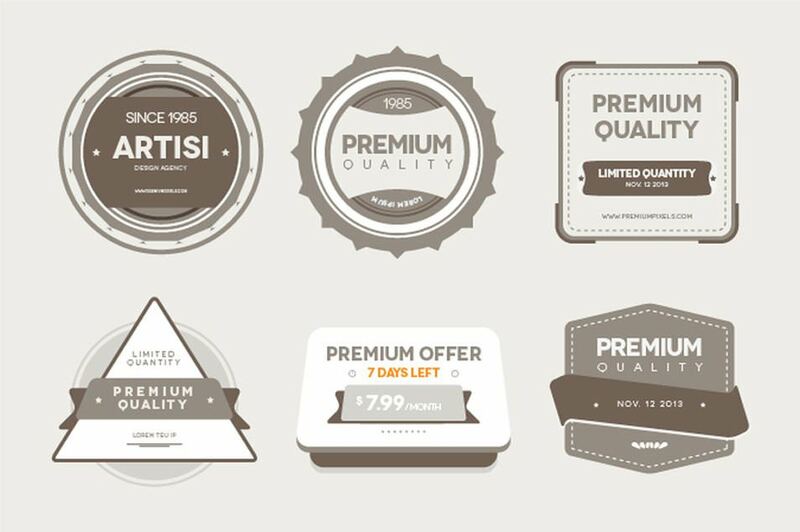 With thousands of designs to choose from, the variety of the same allows you to pick one without any compromise in taste. 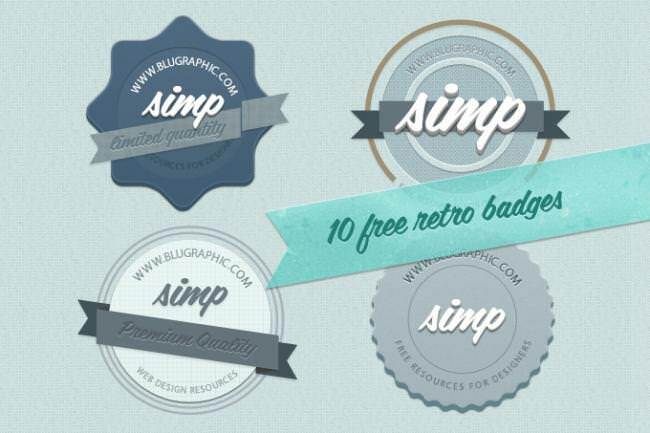 Many of the retro badges come in vector formats as well, which ensures that you can edit them using Photoshop in almost any way imaginable. 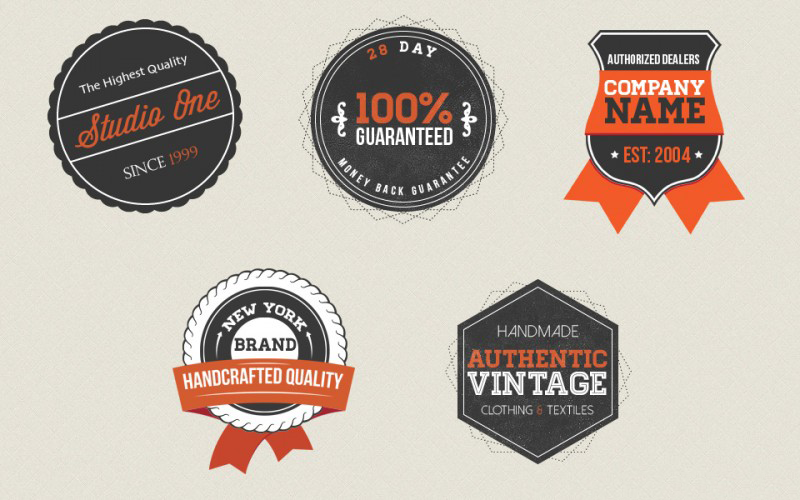 Some of these badge designs are extremely unique, for example you can find hand drawn retro badges, Hollywood inspired retro badges, vintage badges with popular culture references etc. 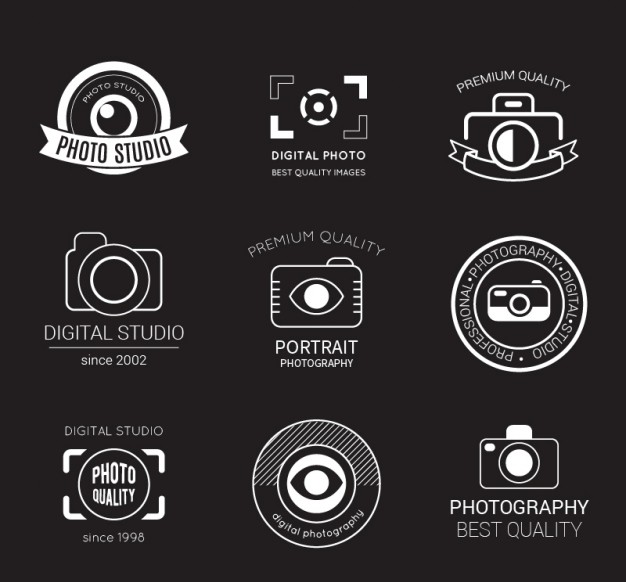 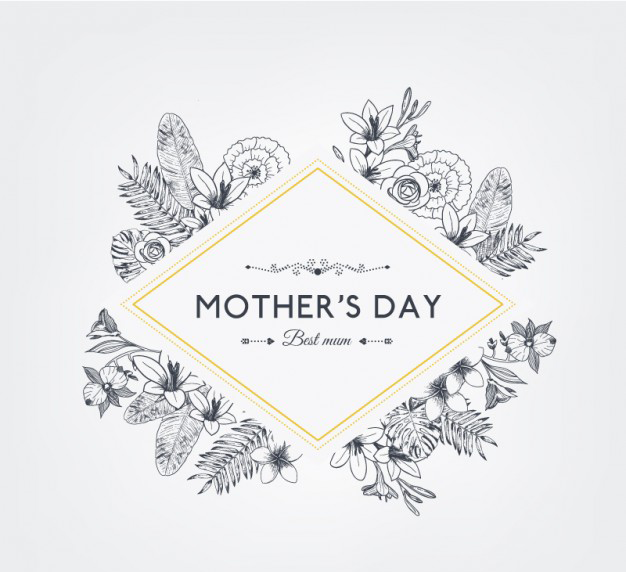 Although most of these templates are here for free downloadable without any overhead charges, you can expect premium qualities which guarantee no irritating watermark, limitations in editing options and restrictions in licensing for commercial use. 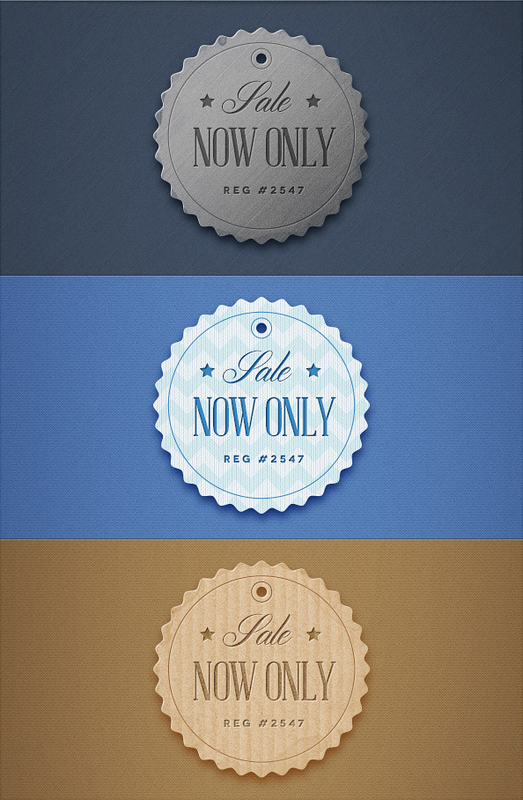 Give wings to your imagination and keep creating new signatures with these amazing retro badges.